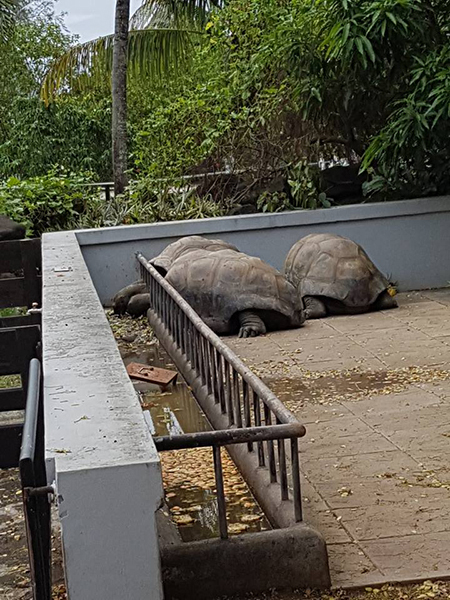 Melissa Strayton, Senior Travel Consultant at our travel agents in Colchester, was lucky enough to experience a fantastic trip to Mauritius. She checked out some of the best hotels on the island and here is what she thought. We were lucky enough to have access to the SkyTeam Lounge at Heathrow. The lounge is very comfortable and relaxing with a great choice of food and drinks. I would highly recommend booking this for special occasions. We flew economy both ways. Our outbound flight wasn't the most comfortable experience I have had travelling, however, the staff cannot be faulted as they were very attentive and always had a smile on their face. The inbound flight wasn't full so we had more space. The choice of films on board was OK, however, on the return flight, the films were played on a loop. Anahita The Resort - When we arrived at the Anahita, we were lucky enough to be upgraded to a two-bedroom prestige suite with an infinity pool. All the rooms are big and come with a kitchen and a shopping menu to have your food delivered. This is an amazing golf resort with a free boat crossing to play on the island. The Ravenala Attitude - This is If Only’s leading 4* all-inclusive hotel and all the rooms were very spacious and well kept. The hotel prides itself on giving you the Mauritian experience, including the opportunity for guests to have dinner with a local family. 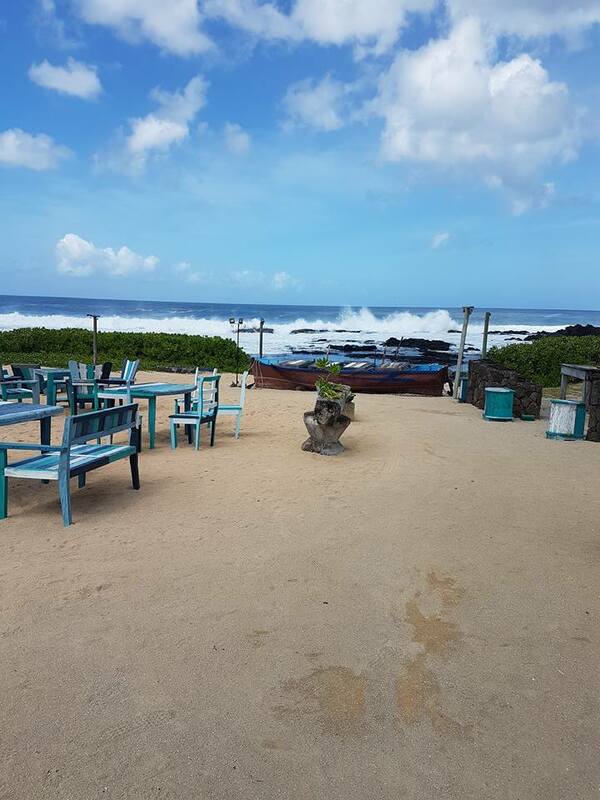 There are seven restaurants to choose from, including two on the beach, but some meals come at a supplement and it is advisable to book in advance. The children's club is open from 9am-11pm and available for children between three and 12 years. Maritim Resort & Spa - This hotel is quite unique and perfect for families. It has a small animal farm, giant tortoise’s park, historical ruins and an equestrian centre. We had the opportunity to enjoy a treatment at their wonderful spa, followed by a beautiful fine dining experience in their Michelin star restaurant “Chateau Mon Desir”. We arrived to a red carpet reception, canapés, Champagne and a guitarist who serenaded us under the banyan trees. The food was superb. Sugar Beach Resort & Spa – There are two hotels side by side here – the 4-star La Pirogue and the 5-star Sugar Beach Resort. You can use the facilities and eat at both restaurants, though. The hotels are walking distance from Flic-en-Flac, a lovely town with shops, restaurants and bars. I preferred the rooms at La Pirogue as they had just been refurbished. Sugar Beach is an amazing wedding setting with a staircase leading from the Manor House, along a pathway and down to the beach. Shanti Maurice - This was my favourite hotel. It is a 5-star deluxe property but it felt relaxed and unpretentious. We were taken for a pre-dinner drink at the Rum Shed, which has an incredibly chilled vibe with sand on the floor and felt like a place where you could really kick back. There is a herb and vegetable garden where, once a week, a local resident come and does a cooking demonstration for guests. The rooms are beautiful and are all sea-facing. Mine had a huge bathroom and outdoor shower so I could sit on my bed watching the waves. Heritage Awali Golf & Spa Resort - This hotel has an African feel. It is housed on a 2500-hectare nature reserve and we were lucky enough to be taken on a 4×4 jeep safari. We saw countless deer with massive antlers, along with warthog and baby piglets. This area is stunningly beautiful. The hotel is adjacent to the Heritage Le Telfair and if you stay here you have the choice to dine around between the two hotels. The Heritage Awali has a fabulous array of dining options with 12 different restaurants to choose from. 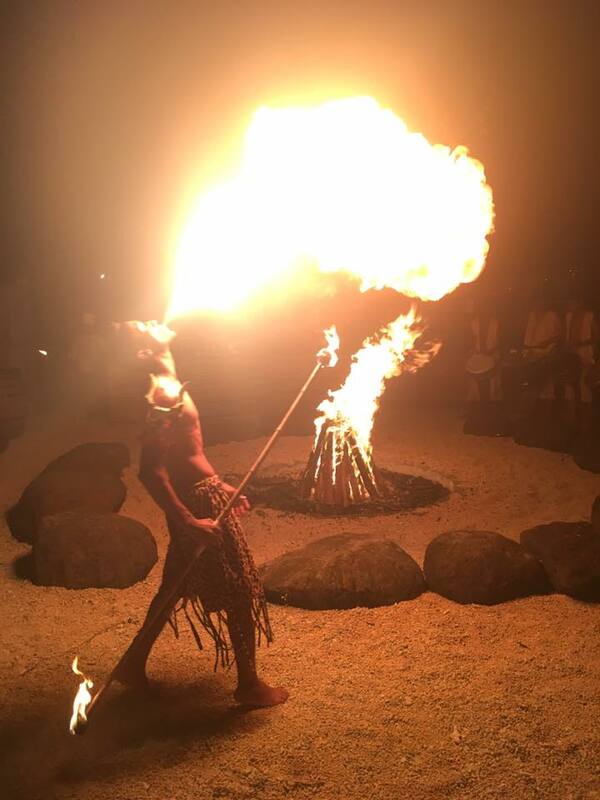 We enjoyed a memorable dining experience under the stars at Boma, complete with African drum and dance entertainment. Much of our time was filled with looking at other hotels. Here’s a quick summary of those that we saw, along with a couple of the other activities we did. LUX Belle Mare - The Lux Belle Mar was a quirky hotel with a stunning entrance. They have their own coffee which they roast on site and guests are offered the chance to roast their own too. They have a great Tea House that offers 88 different teas from 40 different countries and there’s a brilliant photography shop where you can have lessons in taking the perfect pictures using any kind of camera, including your smartphone. There are red phone boxes with ornate telephones from which you can call anywhere in the world for free. The Gym is very impressive. It was air-conditioned, spacious and smelt lovely. The kids club was also great, with a lovely little mini-spa for little girls to do their hair and nails. There’s a “Tree of wishes” where guests can hang their wishes on little blue love hearts and once a year they are collected and put into a draw to win a prize. Other nice touches included homemade ice lollies, exclusive beers and Rum tasting. The Residence - This property consists of 163 rooms and is located on Belle Mare Beach. The main restaurant offers a la carte dining and you can book on a bed & breakfast or half-board basis. The spa is lovely and offers a wide range of treatments in luxury rooms. However, the beach has to be the highlight of this hotel. 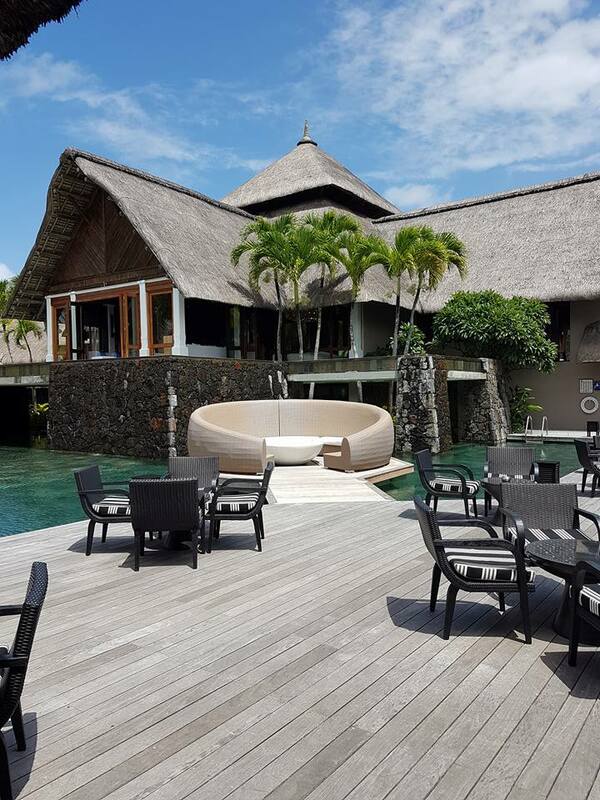 Constance Belle Mare Plage - This hotel has something for everyone. There are two complimentary golf courses, a kids club including a pool (4-11 years), a spa, a tennis court and an offshore coral reef. For special occasions, guests can dine in the Blue Penny Cellar, an exclusive a la carte restaurant located in a sophisticated wine cellar. The bar is a vibrant and chic area in the heart of the resort that has live music and floating lounges for added comfort. We were treated to a BBQ lunch in the presidential Villa. Paradise Cove - This hotel is perfect for honeymooners it is a 5-star adult-only boutique hotel. Immediately as you enter the hotel it feels romantic. There are private dining packages on offer with ambient music and your own butler. The grounds are just beautiful and the pool area was very impressive. Zilwa Attitude – This was a great hotel on the north coast with a relaxed beach atmosphere. We caught a raft boat and were accompanied by a singer and drummer to an island where we enjoyed a really relaxed lunch at the restaurant Grand Zil. We ate off rustic tin plates and sipped a cool beer from a tin mug. There is lots to do at this hotel, including three beaches, a kids’ club, a rum making workshop, language lessons, bike tours, a gym and a spa. Port Louis/ Grand Bay - I found Port Louis extremely safe to walk around. It’s home to a busy shopping area, a lovely marina and some great museums. One, in particular, that is worth a visit is the Blue Penny Museum, which provides visitors with a captivating glimpse of the art and history of the country. We also had a brief stop in Grand Bay which comes to life at night with bars, clubs and restaurants. Dolphin Catamaran Trip - This trip costs around £75pp and it includes drink all day on the boat and a BBQ lunch. 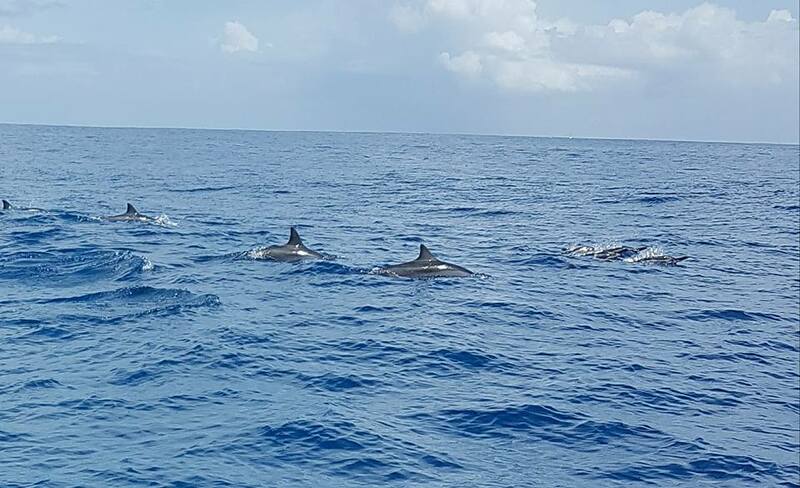 We stopped to watch the dolphins for around 20 minutes and then went on to snorkel before lunch. I would highly recommend booking this trip and it was definitely a highlight for us. Yes, I would definitely recommend this trip to holidaymakers. There is a hotel to suit every customer. Thank you to If Only, Paul, Steve and Lisa for allowing me the opportunity to experience such a wonderful island. If you would like to book your own luxury holiday to Mauritius, just like Melissa, drop by one of our travel shops in East Anglia and along the south coast. Our holiday specialists will be more than happy to help you plan your dream trip.